Sri Lanka’s No. 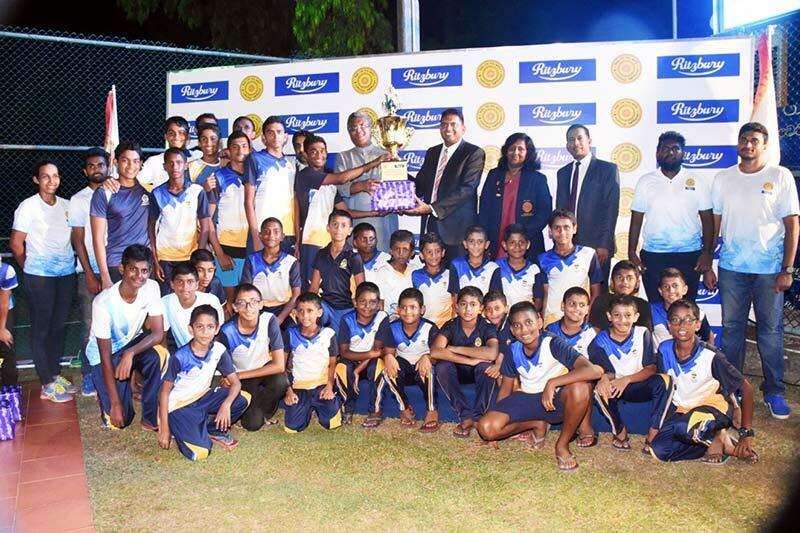 1 chocolate brand, Ritzbury chocolates continue to uplift swimming by organizing the 2019 Vidudaya Ritzbury Interschool Swimming Championship for the second successive year at which the Overall Girls’ Trophy was won by Visakha Vidyalaya, Colombo and the Overall Boys’ Trophy was clinched by St. Peter’s College, Bambalapitiya. Sirimavo Bandaranayaka Vidayalaya, Colombo emerged as Runner up in the Overall Girls’ Category while the Runner up in the Overall Boys’ Championship was St. Sebastian College, Moratuwa. Ritzbury Chocolates, the sole sponsor of Vidudaya Ritzbury Swimming Championship organized the championship in partnership with University of Sri Jayawardanepura, which has the biggest swimming pool in the country. The championship with over 2000 participants from over 120 schools and sports clubs was held at the Sri Jayawardenepura Swimming Pool complex on March 9th and 10th. The Championship included 96 individual and 24 relay events. At the conclusion of the Championship the awards were presented to the winners by Vice Chancellor of the University of Sri Jayawardenepura, Prof. Sampath Amaratunga and General Manager Marketing, Nilupul de Silva of CBL Foods International.